Because scholars of religion are trained in the study of how rhetorics of privacy are used by social actors, I think we might have more to say about what’s going on than we at first realize. After all, the basis of our entire field is that we, as observers, only have access to the public expression of a private sentiment — without that presumption, phenomenology of religion makes no sense, as does much of the work still being done in the field. But now it happens that some of us are interested not in how the observable public manifests or represents the inaccessible private (much like how some still assume faith is only secondarily put into works) but, instead, in how the very use of that distinction — the very rhetoric of faith or belief, for example — when it is policed in particular ways, makes certain sorts of publics possible to imagine. The assumption, here, is that it’s all public and, through our continuous efforts, zones of privacy (and thus privilege) are created (or contested) — always for social effect. I think here of Emile Durkheim’s move, from studying the sacred to instead examining how the sacred/profane pairing was deployed in the mundane world by mundane social actors, as part of a larger rule system, so as to make certain sorts of worlds seem to be more than mundane. So, with this in mind, I return to the Presidential debate, and offer just four e.g.s where the sort of scholar of religion whom I have in mind might have something to say about how the candidates, and their supporters, are trying to shape our perception of them and their opponent. Donald Trump’s assertion that his recently released 2005 comments on women were “locker room talk” — and thus part of a conversation between (presumably) heterosexual men that was private and not meant for public consumption. Hillary Clinton’s effort to explain leaked speech transcripts (which she has, so far, resisted making public) that portray her admitting to having a public and a private position on some issues, akin to how, as she phrased it in the second debate, President Lincoln used strategic public disclosure to persuade colleagues at the time. Donald Trump’s efforts to keep his personal tax returns private (unlike other Presidential candidates for the past few decades). 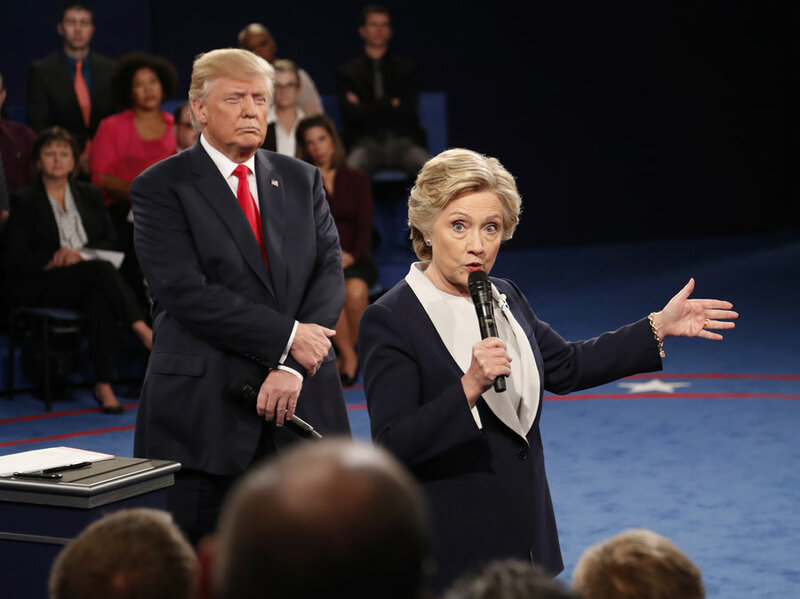 Hillary Clinton’s long history of dealing with her husband’s alleged infidelities, which are often portrayed as being a private matter, between a husband and wife, but which her opposition continually works to make a public issue of character and temperament. This arm wrestling over what to disclose and what to keep behind closed doors is easily seen by many as political posturing, maybe even an effort at damage control, all in the service of getting elected. Privacy is thus a strategic political tool. If claims of privacy are so useful in theses cases then what about the people whom we, as scholars of religion, may study, such as those who claim to have deeply personal experiences or the people answering the pollster concerning how their faith shapes their voting preferences? Might there be lessons during this political season that we can apply to our work in the study of religion? This entry was posted in Faculty Blog, Relevance of Humanities, Religion in Culture and tagged Belief, Donald Trump, Faith, Hillary Clinton, Presidential Race, Privacy, Private, Public, rhetoric by Russell McCutcheon. Bookmark the permalink.